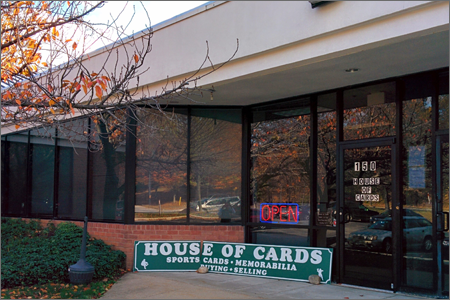 House of Cards specializes in ‘all sports’ and ‘non-sports’ cards mostly from pre-1980. We actively purchase entire collections from the turn of the century to 1975. 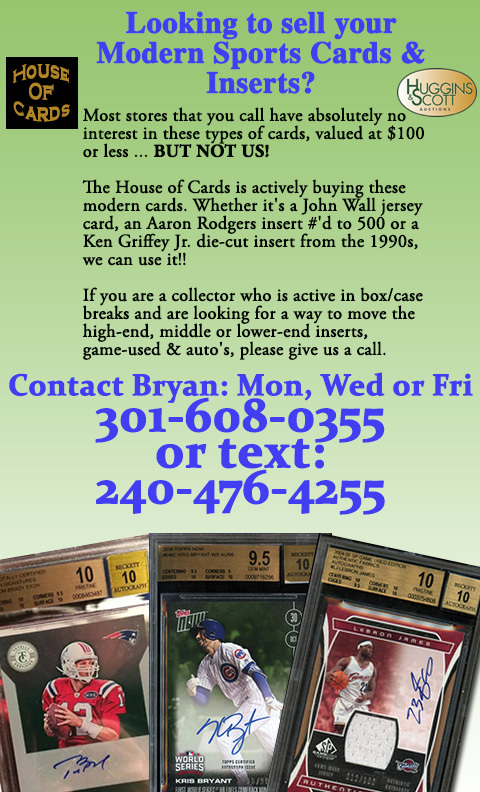 We are also the largest buyer and seller of Washington Capitals, Washington Senators, Washington Redskins and other Washington Area Sports Teams cards and memorabilia. 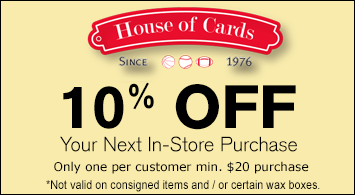 Call us if you have pennants, bobbin heads, programs, autographs, or other unique items that relate to the Washington area. Let’s get rich together!